Metal Gear Solid V started off with Ground Zeroes, after which we had to wait 18 months for The Phantom Pain. Thankfully, it was worth it – here’s the review. 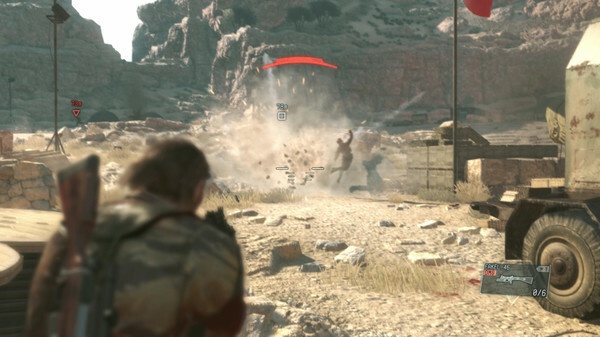 A lot has already been said about Metal Gear Solid V – The Phantom Pain, even well before the release of the game. On the one hand there’s been a lot of talk regarding Hideo Kojima’s departure from Konami and the Metal Gear franchise – something many fans still hope isn’t quite as “final” as it’s been announced to be. On the other hand, it’s because Metal Gear Solid V was chopped into two parts – with its prologue Ground Zeroes having been available for about a year and a half now. Criticized mainly for its rather short game length, it was a title that raised some questions but which mainly showed us what kind of potential there was for The Phantom Pain. 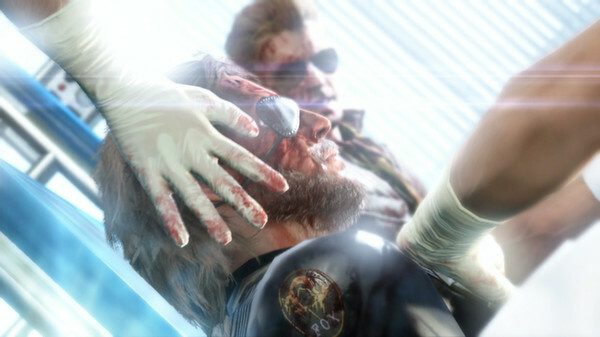 Our review touched on this as well, but we’re happy to report that The Phantom Pain more than delivers on this promise. It’s a challenge to review Hideo Kojima’s latest (and last?) Metal Gear Solid adventure without dropping any spoilers in terms of the plot, so we’ll stick to what’s fairly common knowledge and focus on the gameplay elements instead. The game starts off with an action-packed sequence where Big Boss – fresh out of a nine-year coma – finds himself inside a medical facility that’s under siege from an elite soldier who’s out for him and will stop at nothing to reach his goal. It’s dramatic, it’s over the top – and exhilarating to play. For those who are Metal Gear veterans, it’s a very different way of jumping into the game. In the past, you would often find yourself reading some back-and-forth banter between characters on the screen, often in the shape of a radio conversation between the two. In Metal Gear Solid V, this is heavily immersed in the game itself – making the storytelling much more of an audiovisual experience that’s actually part of the gameplay itself. It’s something we’ve been seeing in a lot of first person shooters over the past years as well – where storytelling is as much part of the level as the gunplay action is. Call of Duty and Battlefield make extensive use of this, and it feels like a good fit for the Metal Gear franchise as well. Sure, it’s a departure from what everyone knows and loves about the series – but nothing is lost in the translation and momentum is gained in return. A good portion of the game takes place inside your base of operations, which is far more than a place where you get your briefings and start your next mission. Aside from a few minigames that allow you to test and practice your skills, you can also find out about new intel from captured/retrieved assets from the field – whom you extract using a balloon-based tactic called the Fulton system. While on the battlefield, you can attach a self-inflating balloon to people or items, causing them to be lifted up and away from the ground – only to be retrieved by aircraft flying over. It can look a bit silly because you can attach these balloons to a ton of items and people, but it becomes much more functional when you look at the way it’s tied into the Mother Base dynamic. What’s great about the game’s many missions is how they are layered wonderfully well – due to excellent game design, it’s possible to tackle various sections of each mission in completely different ways – guns blazing, or focusing on stealth instead. This allows you to create completely different playthroughs every time and can dynamically change the gameplay style mid-level. While we really loved this level of freedom, we didn’t like how the game (later on) made us replay earlier levels while forcing a certain gameplay style on us. It felt, amidst such an open and free structure, like something that was out of place – almost like we were made to grind through earlier levels just to progress, and doing so not by choice. Sure, they are still rewarding (and perhaps even more so because they make you go against your nature/instincts) – but don’t feel as integral to the game. Still, this is a minor gripe as this is a fantastic game. Aside from the richest and most refined Metal Gear gameplay to date, everything is also presented in a glorious amount of detail thanks for the Fox engine’s capabilities. We tried out the PC version as well to see what things looked like at super high resolutions, and from the facial animations right down to the geography surrounding you – this is one of the most gorgeous games we’ve ever played. The first level alone is like something out of a major Hollywood action movie -or perhaps the “24” TV series, which of course comes to mind because Kiefer Sutherland does a lot of the voicework for The Phantom Pain. While Ground Zeroes left some room for doubt, Metal Gear Solid V: The Phantom firmly establishes itself as a major contender for 2015’s game of the year. The big season for holiday releases has only just begun, but we’re wondering what else can come close.